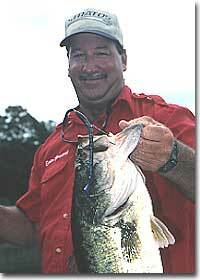 Eddie has been guiding his clients to some of the greatest largemouth bass fishing for over 30 years. He has spent many years on the St. John's River, The Kissimmee Chain of Lakes, Butler Chain of Lakes, and pretty much all the waters found in and around the Orlando Disney World area. He now uses that knowledge and experience to make sure that his clients not only catch fish but have a wonderful and FUN day. Writers often fish with Eddie to get a good background for their stories. "Catch a Memory" will take on a new meaning after a day on the beautiful waters of Central Florida. Eddie also spends a lot of time working with handicapped individuals who want to join in the thrill of the bass fishing sport. His one passion in life is working with kids and teaching them how to fish and enjoy the outdoors. It generates memories for youngsters that will last a lifetime. "Many of my clients ask during our Trophy Bass Fishing Trip what do I enjoy doing when I am not guiding clients for Trophy Bass." "The truth is I have to fish just about everyday even when I do not have clients booked. One of the reasons my clients have such good success at catching Trophy Bass is a good guide must do his homework." "The days during Nov and Dec when I am not hunting Trophy Bass you can find me high up in a tree hunting Trophy White Tail Deer. 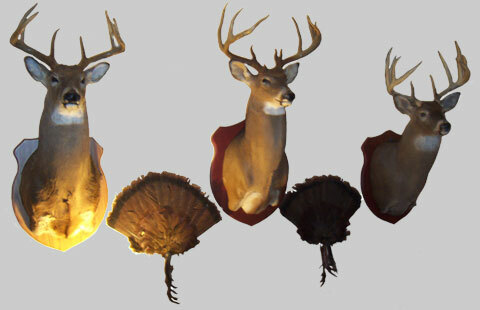 I have a passion for hunting trophy's period. I am an avid Bow Hunter and enjoy spending 100% of my time on the water or in the woods with my family and friends."